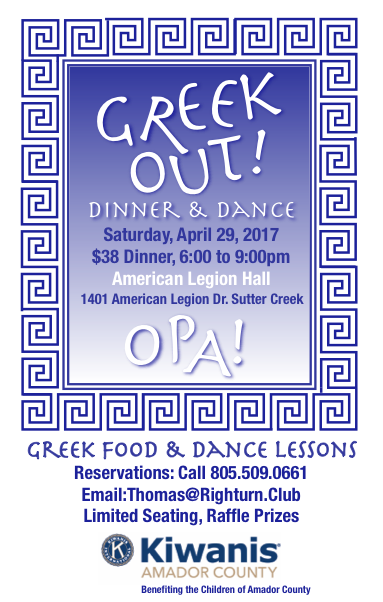 The Kiwanis Club of Amador County is hosting Greek Out! The celebration takes place on Saturday, April 29th, from 6:00 to 9:00 pm. at the American Legion Hall in Sutter Creek. An authentic Greek Dinner will include Greek appetizers, Spanikopita, Greek Salad, Chicken on a Skewer, Greek Rice and Desert, Bakalava. Beverages may be purchased at the American Legion Hall Bar. The Sutter Creek Elementary School Kiwanis Righturn.Club will be performing a traditional Greek dance. There will be 4 Greek Dance Teachers, that will teach us how to dance, Greek style. Local businesses have donated fantastic raffle prizes including antiques, gift cards, original artwork, gift baskets, and other valuable items. Tickets for this event are $38.00 each payable with cash or credit card. Tickets are available at our See's Candy Wagon in front of SaveMart in Martel which will be open from April 6 to April 15 from 12:00 noon to 6:00 pm, or you may telephone Thomas Moraitis at 805 509 0661 to reserve your ticket. 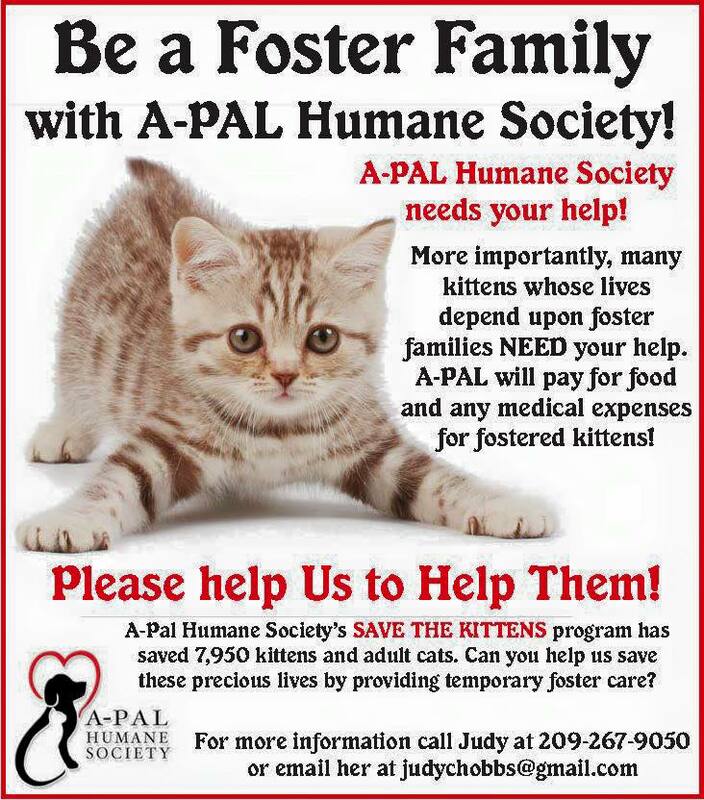 Donations received will be used to benefit the children of Amador County including Kiwanis Righturn.Club, scholarships for local schools and other projects. 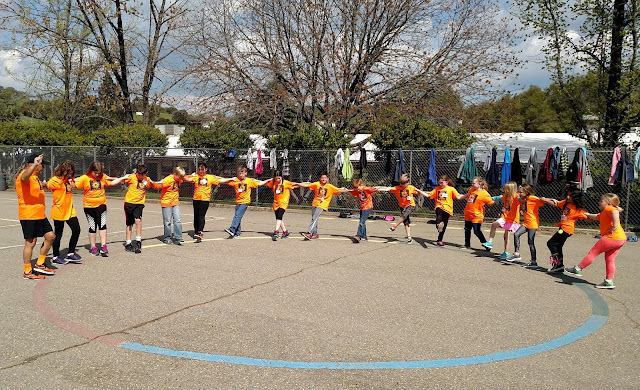 It is impossible not to smile while learning how to do Greek Folk Dancing. Opa!